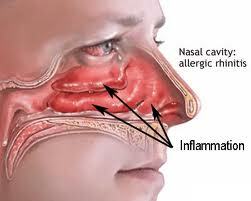 Many medical institutions have tried various lasers for treatment of chronic rhinitis . There are many advantages of laser performance. One of the sitingsgoes back to August 2002 to February 2003 under nasal endoscopy during the use of GaAlAs semiconductor laser treatment for the treatment of 32 patients with chronic rhinitis patients achieved satisfactory results. Taking a practical, ”in the trenches approach” to diagnosing and treating nasal and sinus disorders, this book offers the expertise of world-renowned otolaryngologists-head and neck surgeons. From physiology and immunology of the sinuses to anatomic considerations and new radiologic techniques, the book covers all the topics the specialist must master in everyday practice. It includes more than 450 clear illustrations for easy visualization of complex sinus anatomy. In-depth discussions of minimally invasive, laser, stereotactic, and combined endoscopic and microscopic techniques make this text a complete, ”how-to” guide to endoscopic sinus surgery. You will also find guidelines for acquiring the technical skills for handling endoscopes and other instrumentation in the nose. Carefully organized to provide you easy access to the information you need, this resource is essential for accurate diagnosis, presurgical planning, choice of surgical procedure, and best outcomes. Especially useful for beginners, it is the reference all practitioners will reach for before undertaking a procedure. Then 810nm diode laser was used for inferior turbinated ablation. Another words the tumor was slowly burned out by IR laser. This method shows very good absorption of hemoglobin and ideal coagulation performance. Bleeding and pain was minimal during operation. Laser treatments are dangers and we are not prosceliting it as very simple treatment. But in comparison to chemotherapy and radiation it is much more safe and without secondary consequences. IR lasers used for the treatment of wrinkles before, but there energies were much lower and it was not an ablation process.